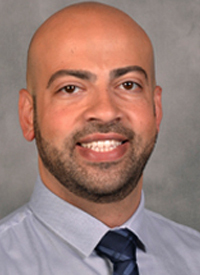 Dr. Jurdi, Upstate Cancer Center Medical Director of Hematology Oncology, was recently interviewed by national oncology publication OncLive. In an article titled PACIFIC Trial Changes Standard of Care in Stage III NSCLC (by Brandon Scalea), Dr. Jurdi reviews results recently released in the New England Journal of Medicine on PACIFIC trials and how they have improved the standard of care for non-small cell lung cancer (NSCLC) patients right here at Upstate. Dr. Jurdi recently participated in the 2018 OncLive State of the Sciences on Lung Cancer along with an esteemed panel from the Upstate Cancer Center and Upstate Medical University. Last Modified: December 17, 2018. Contact Casaundra Hildreth with questions about the content of this page.